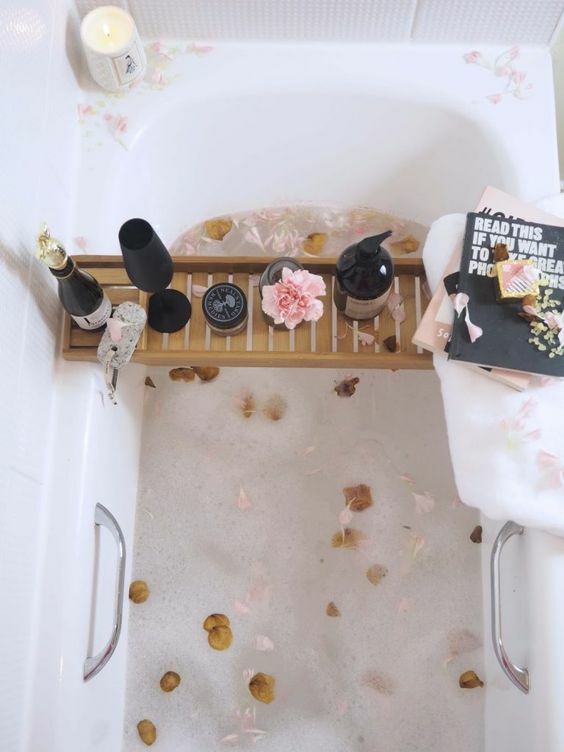 Whether you are preparing a surprise for your partner or want to indulge into luxury yourself and relieve stress on Valentine’s Day, this roundup is what you need. 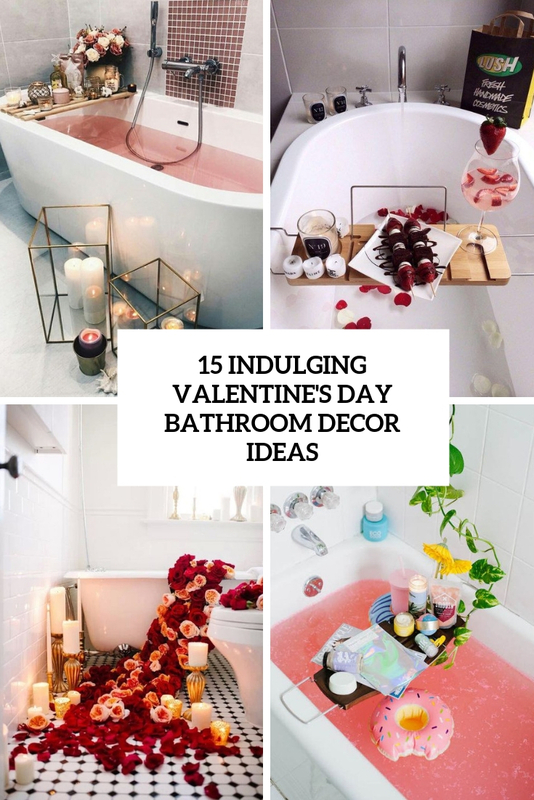 We’ve gathered some amazing ideas to decorate your bathroom for this day and to feel relaxed and joyful. 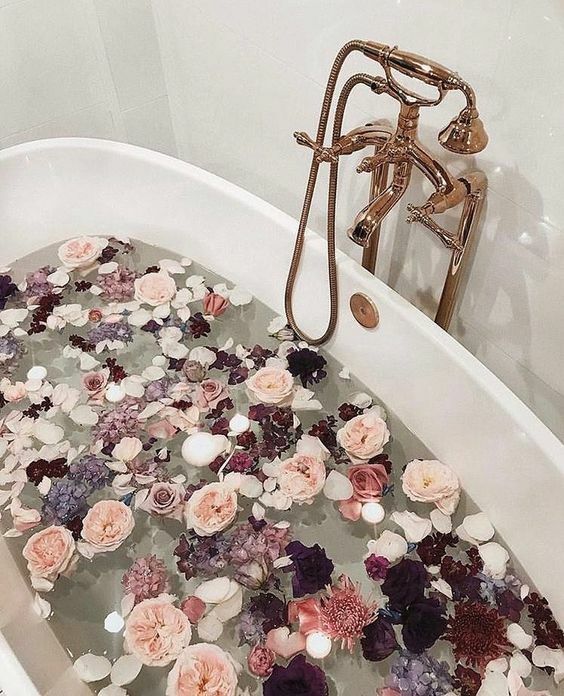 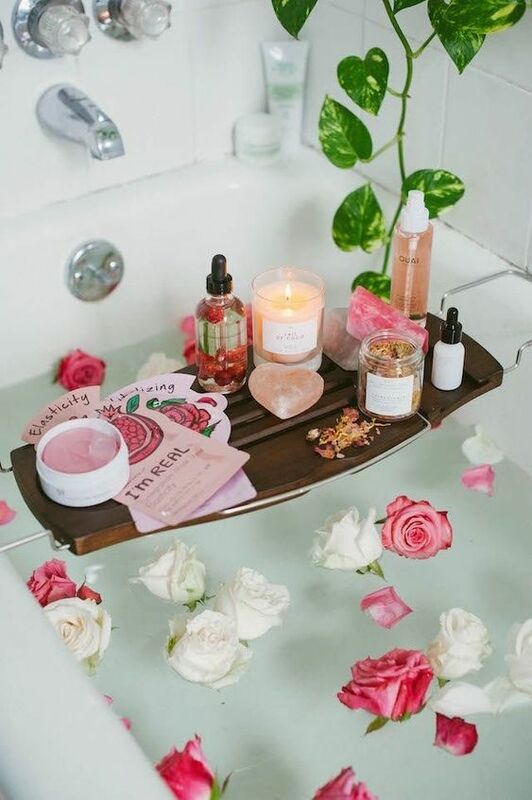 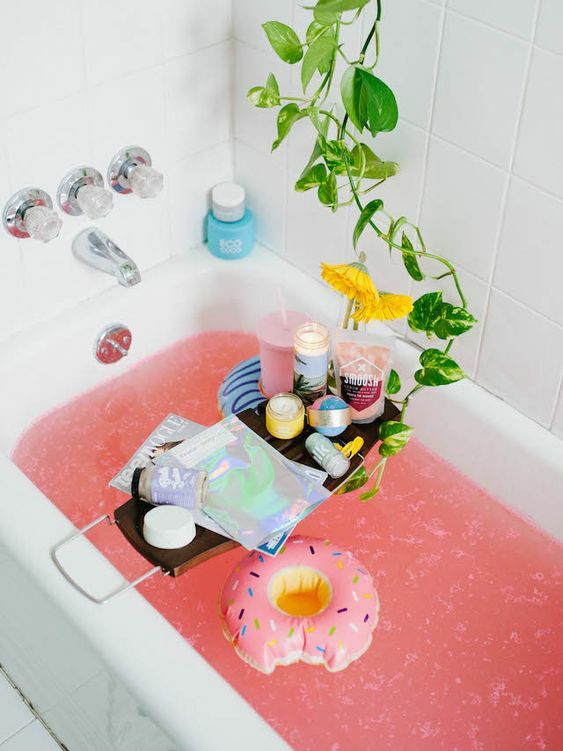 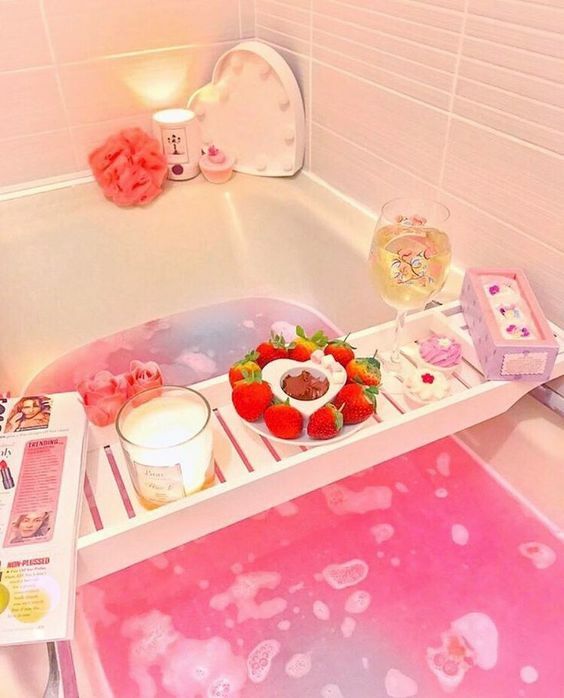 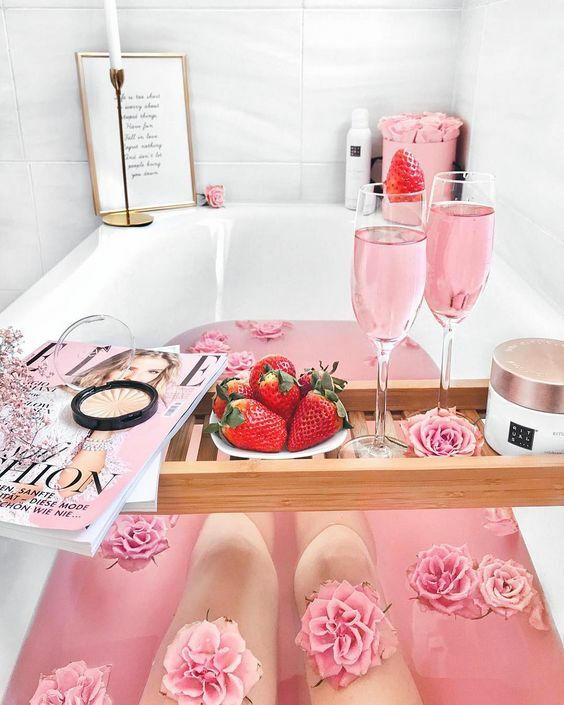 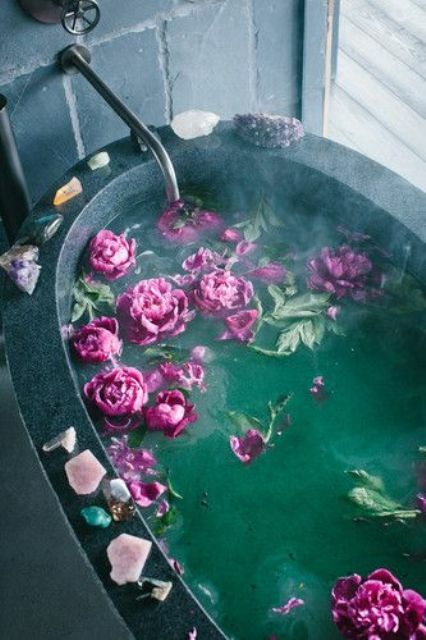 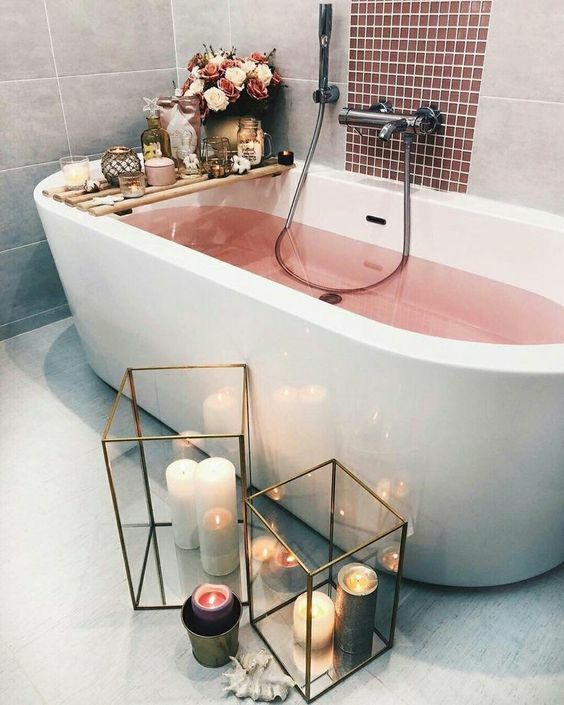 The easiest idea is to place some flower petals or blooms into the tub. 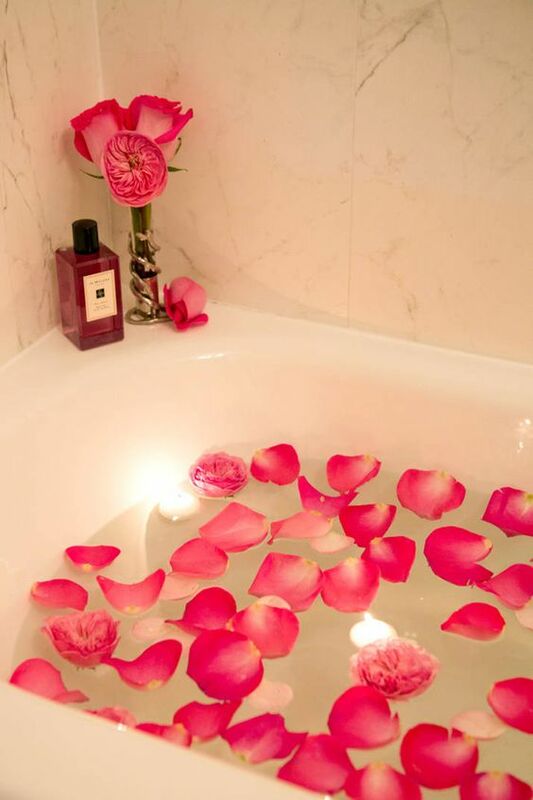 Combine the blooms and petals with colored water – better pink. 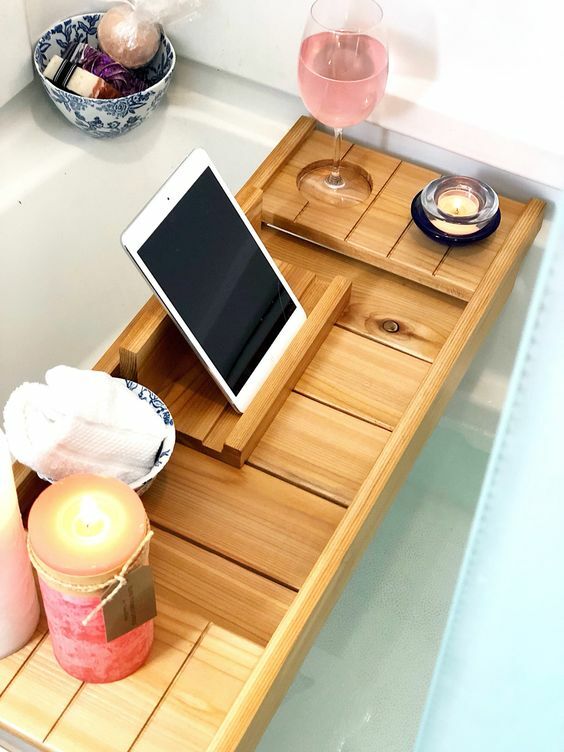 Then add a caddy and place something relaxing on it meaning aroma candles, wine or champagne, magazines or books, a tablet and luxury body products. 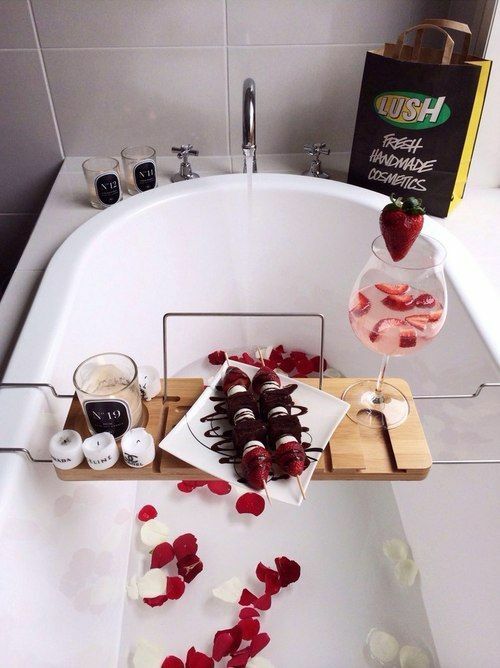 You may also put some delicious snacks like strawberries or chocolate. 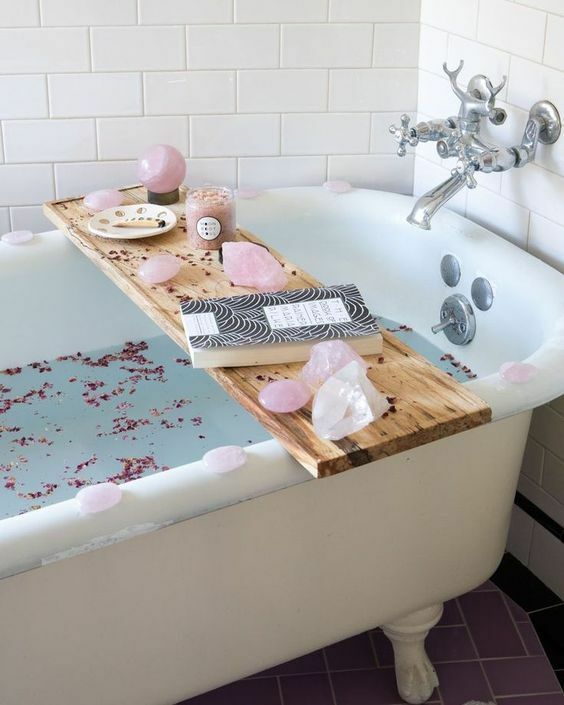 Decorate around your bathtub, too. 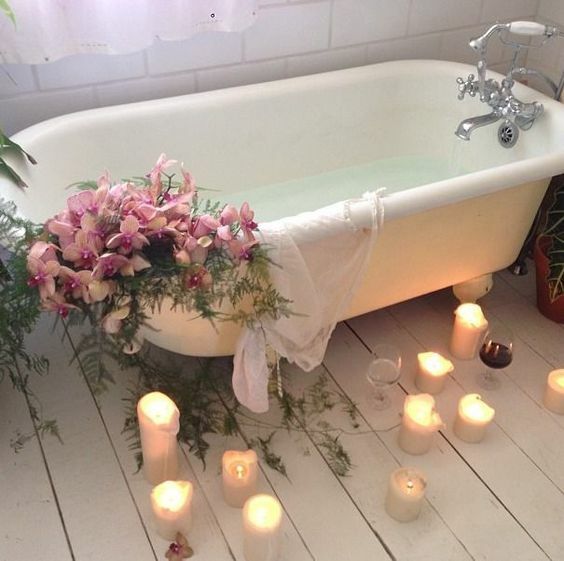 Put some candles on the corners and around the bathtub, add some flowers on the tub and let them go down. 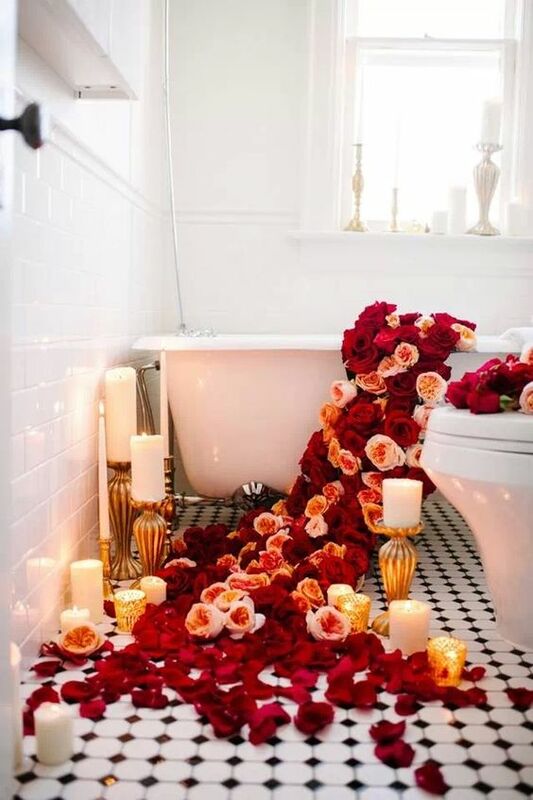 Bring some large lanterns and place several candles inside. 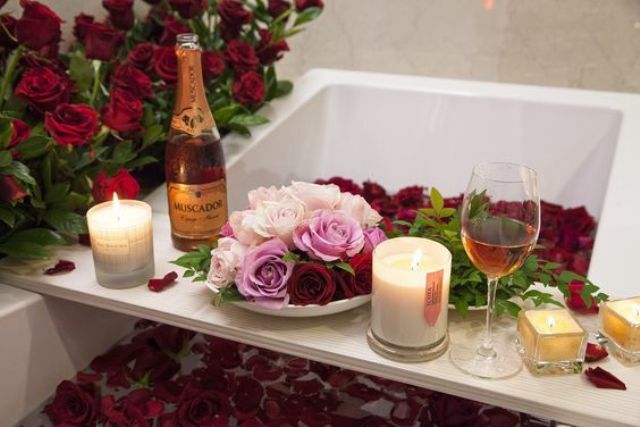 Enjoy or let your partner enjoy it!